Industrial Valve Labels (or commonly referred to as Valve Tags or Valve Discs) in solid brass. 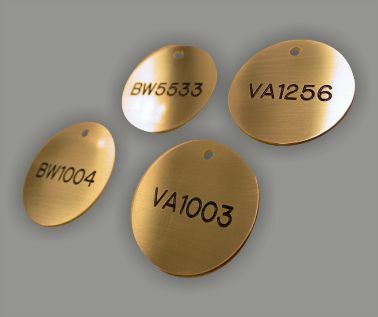 Supplied 50mm dia x 1.0mm, manufactured with a brushed matt finish, suitable for many applications in industry and engineering. 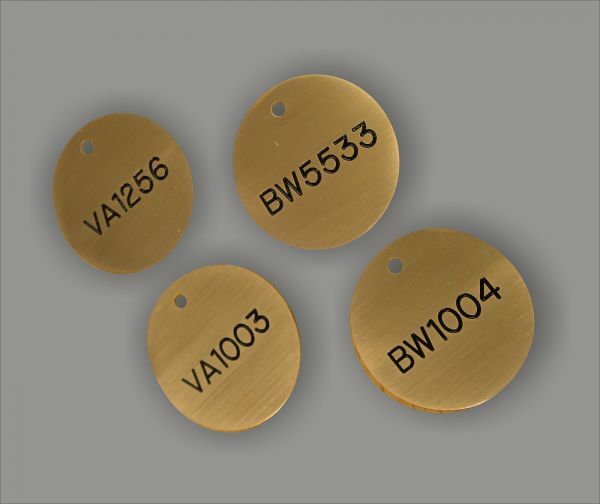 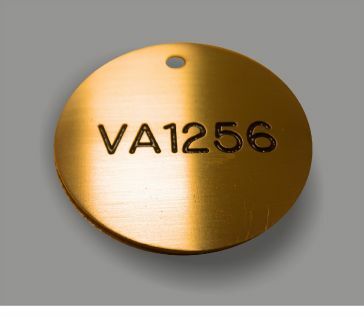 Brass Valve Tags come complete with 1 x 3.5mm hole.